Introduced algae form globally an increasing problem. Grazing on invaders could provide communities with resistance to algal invasions. 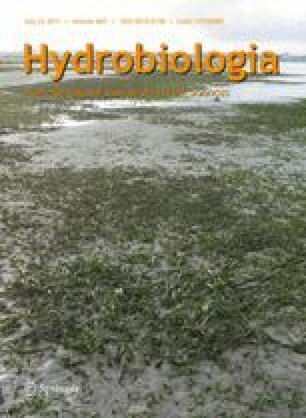 In this study, we experimentally tested the food choice of mesoherbivores for native macroalgae versus the invader Sargassum muticum. We performed food choice experiments with common grazers (Gammarus insensibilis, Hydrobia ulvae and Stenosoma nadejda) and both the brown algal invader Sargassum muticum and its native macroalgal competitors, from both the south (Cystoseira humilis, Stypocaulon scoparium, Cladostephus spongiosus, Dictyota dichotoma, Dictyopteris polypodioides, Sargassum vulgare) and southwest (Cystoseira humilis) coast of Portugal. We tested whether (i) the invader affects the growth rates of native macro algae, and (ii) the grazers have a food preference for S. muticum compared to native macroalgae. The presence of S. muticum did not affect the growth rates of any of the native species. Grazers affected the growth rate of all seaweeds, but S. muticum had the highest growth rates with and without grazers. For the south coast set of species, Stypocaulon scoparium was the most and S. muticum was the least or among the least preferred by grazers. The grazers from the southwest coast did not show a specific preference for C. humilis or S. muticum. Contrary to our expectations the food choice of mesoherbivores may provide S. muticum with some competitive advantage on the Portuguese south coast, but this may not be applicable to the Southwest communities. We are grateful to the Ramalhete staff for provision of laboratory facilities and their technical help. Comments and suggestions of two anonymous reviewers improved an early version of this paper. We would like to acknowledge funding by the Portuguese Science Foundation (FCT) through the project grant POCI/MAR/55377/2004 and through the scholarship SFRH/BPD/7153/2001 to AHE financed under the ‘Programa Operacional Ciência e Inovaçao 2010 (POCI 2010) do Quadro Comunitário de Apoio III e comparticipado pelo Fundo Comunitário Europeu FEDER.